Berroco at New York Sheep and Wool Festival! The annual New York Sheep and Wool Festival was held this past weekend in Rhinebeck, New York. This mega-fiber festival calls to fiber enthusiasts from far and wide, to come to the gorgeous Hudson River Valley for a few days for a fantastic experience. Many crafters work furiously to create their “Rhinebeck sweater,” a garment that they knit or crochet specifically to wear to the festival. And while the weather this year was rather warm—mid-70s both days—you could still see people roaming the fairgrounds in their handmade projects. Combing through Ravelry using the “Rhinebeck” tag, I found quite a few projects that used Berroco yarns and wanted to share a few of them with you. First up is Ravelry user SportyGranola and her INCREDIBLE The Peacock’s Best Vest, knit with two colors of Berroco Cosma®. What an incredible work of art! Next up is Ravelry users enw001 and EmAnnApple and their Beatniks made with Berroco Remix® . enw001’s Beatnik is in red and EmAnnApple’s is in blue. Great job, ladies! Ravelry user 623Knittingmimi made one of our free patterns, Raam, using Berroco Comfort®, which was probably an excellent choice for the warm weather. 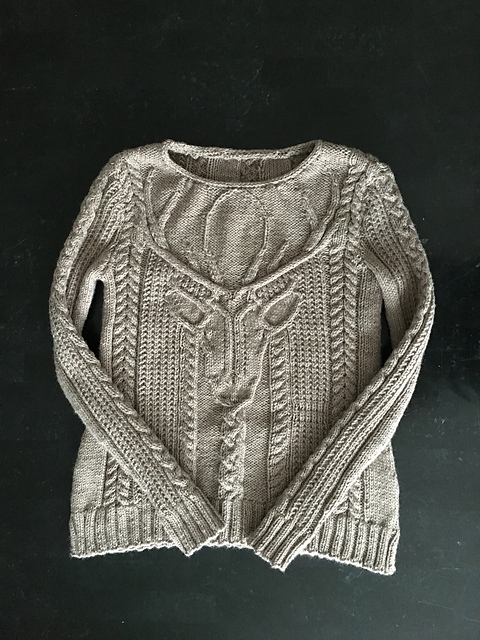 And Ravelry user LuckyJennyKnits made Norah Gaughan’s gorgeous Stag Head Pullover with Berroco Vintage®! 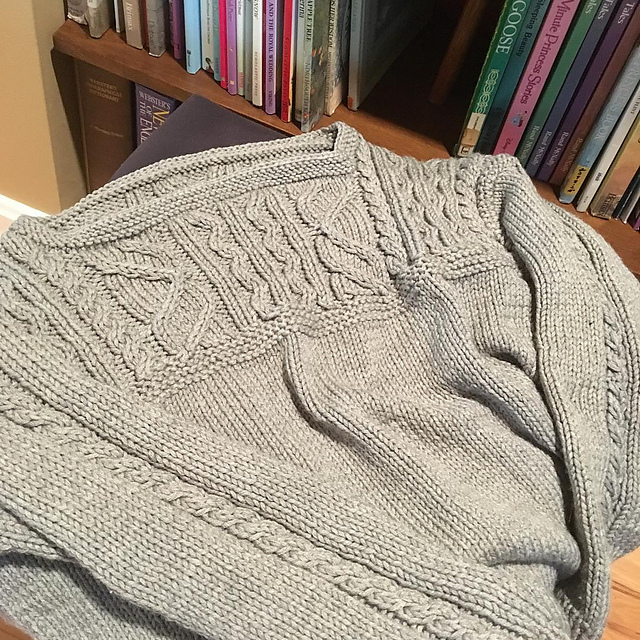 Head to Ravelry to see more fantastic projects that people made for Rhinebeck! There were so many incredible projects at the fairground over the weekend, and while we certainly appreciate all the skill and effort that went into each and every one, we extra appreciate those of you who chose Berroco yarn for your Rhinebeck project! 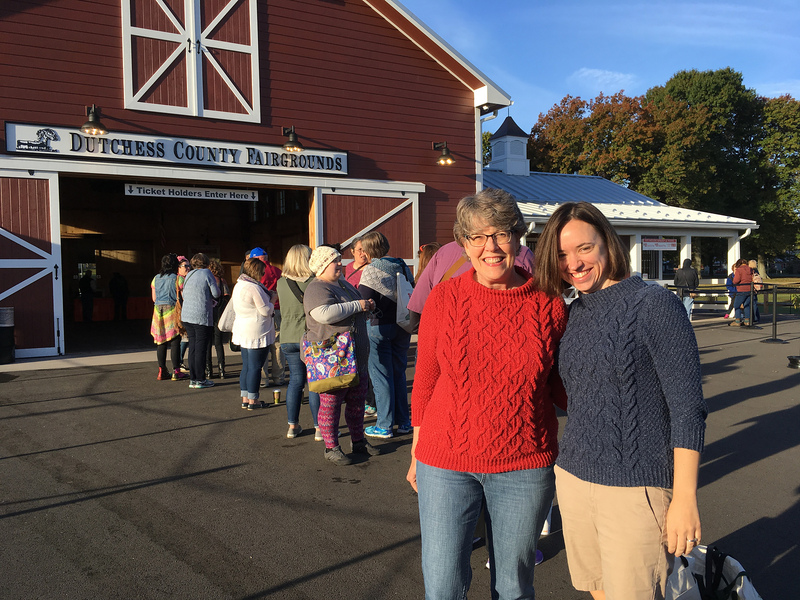 Did you go to Rhinebeck, or is there a fiber festival in your area that you like to attend? Let us know in the comments! I’ve yet to go to Rhinebeck but I go to Maryland Sheep and Wool every year since it’s just about a 45 minute ride from me. One day I’ll make it to Rhinebeck. Every garment in this post is knit.